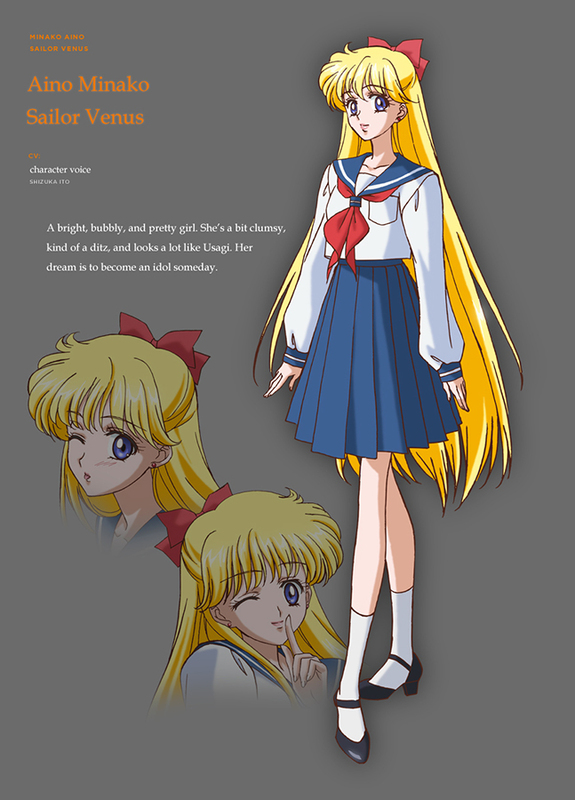 Fresh off the Sailor Moon 20th Anniversary Website! 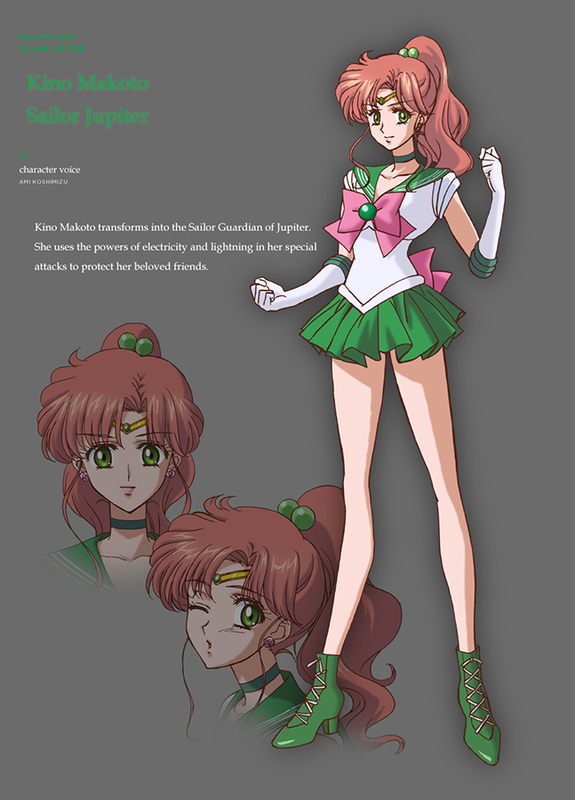 Character Designs for the new Anime! 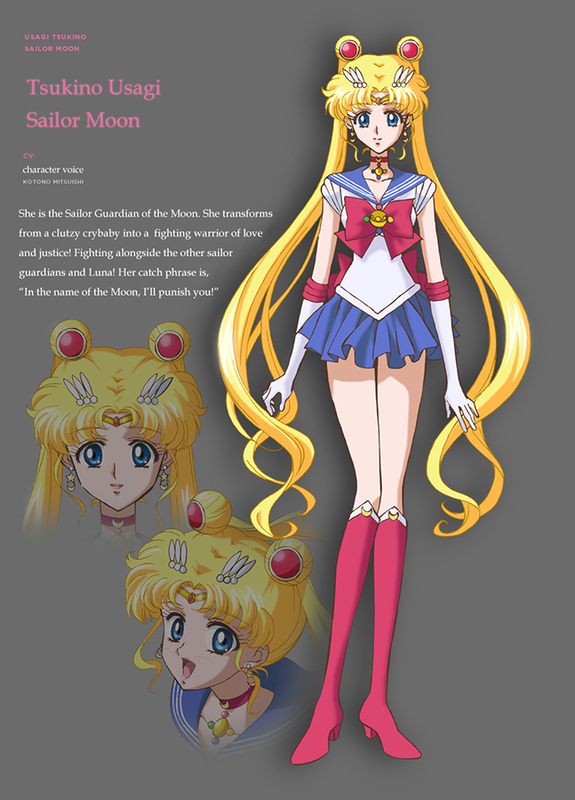 Sailor Moon Crystal! 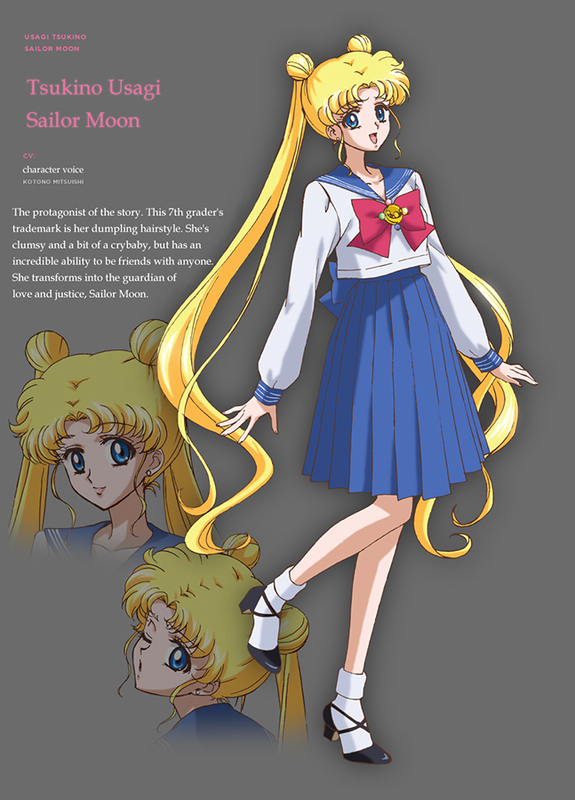 Quick question, in Usagi’s profile it says she’s in 7th grade? I thought she was in 8th grade? The Japanese says 2nd year of Junior High, which in the Japanese system is 8th grade, yes. 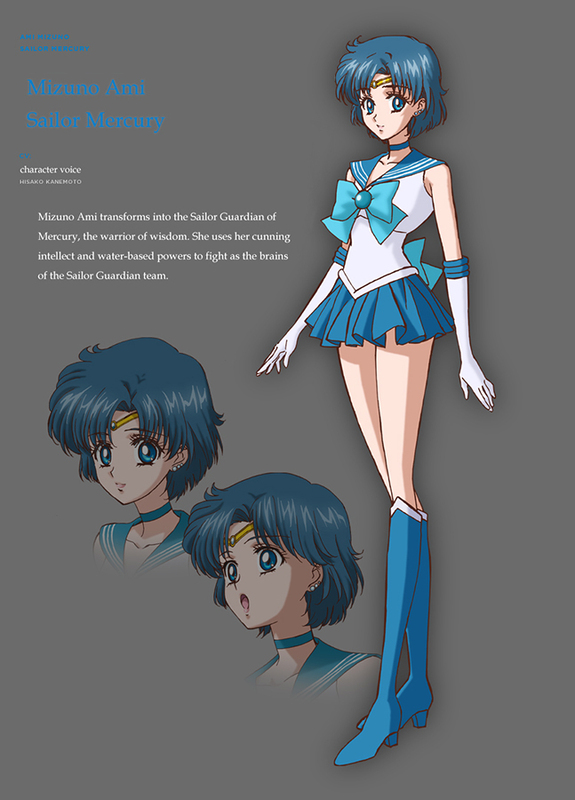 I love the fact that the designs look closer to the manga, but are not so different from the original anime that transition is jarring. There’s another one in her first profile too. She “heps out” at the shrine. Once you get the hang of it, heels are VERY easy to walk in. I started when I was 14 and if I was a girl, I would wear them all day everyday. I really don’t think they’re that different to the original heels. 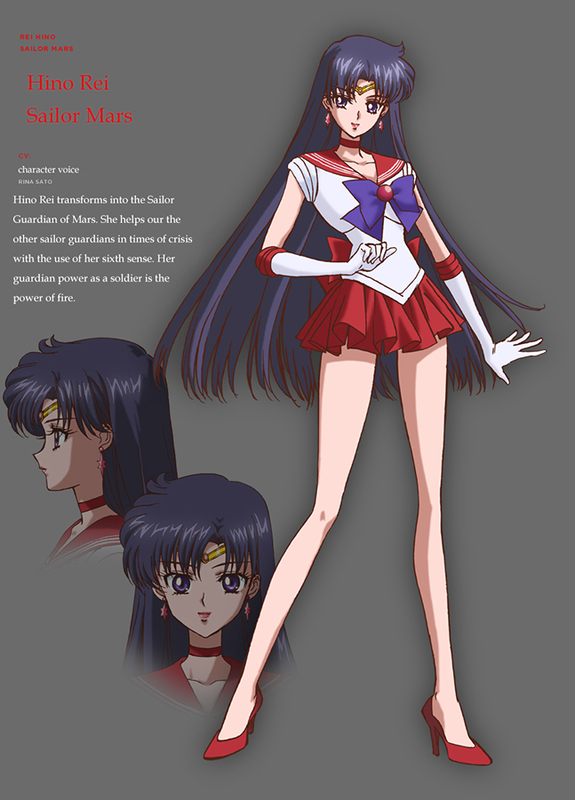 I think I prefer Rei’s new heels as they always made a point that she’s shorter than the other scouts so wears them to make up height, but that never really came across in the original character design. 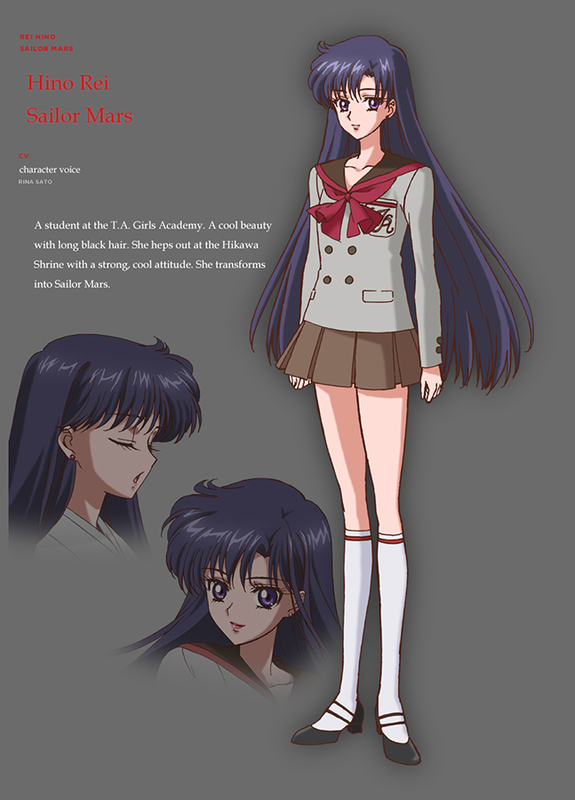 Minako Aino’s profile. What’s an idol? Does it mean famous singer, an Olympic athlete or a famous actress? What the hell is an idol and who talks like that?!?! Idol is the Japanese word for celebrity. 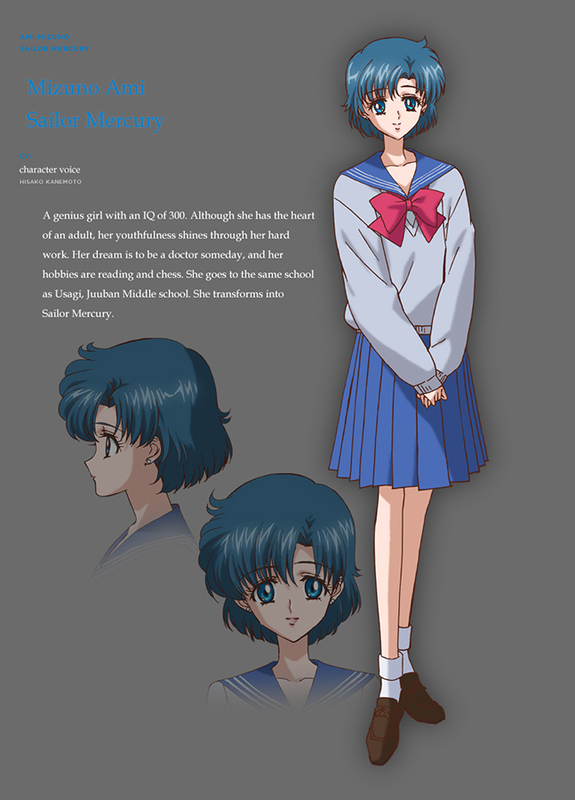 Hmm…They didn’t add Rei’s pendant. I’m surprised. 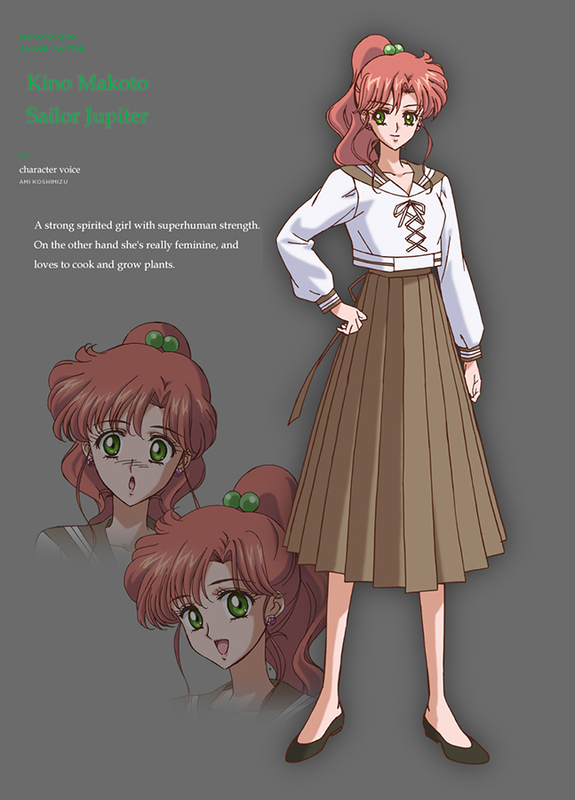 I still wonder… why did they (mostly) stay true to the original character design for all of the senshis – BUT Jupiter? 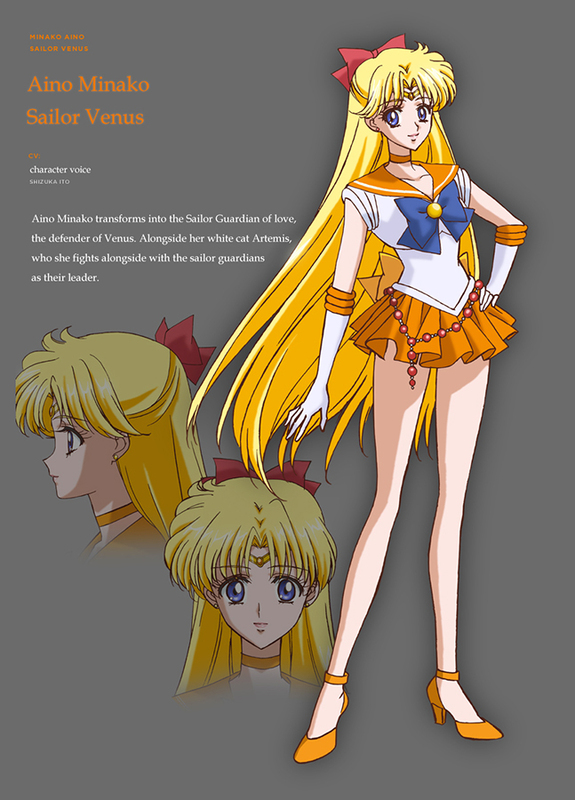 Why didn’t she get the hip chain like Venus did?